These top-down shots are so good they make shipping containers on cargo ships look cool. 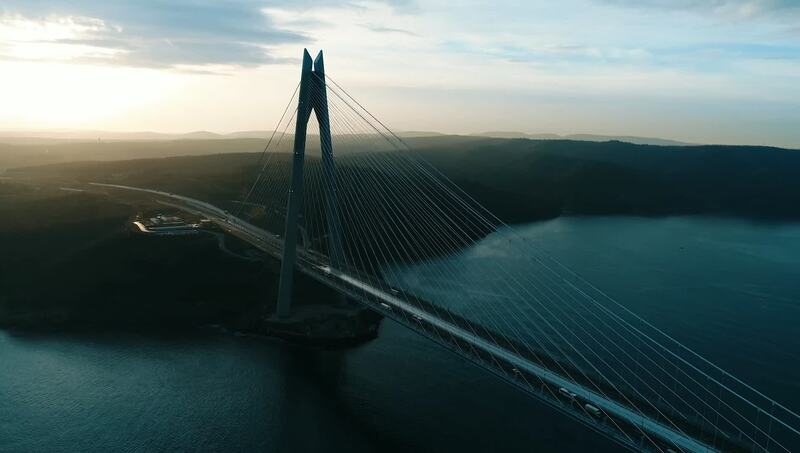 This 1 minute video by Iskender features plenty of aerial shots of large ships and some marvelous shots of the formidible Yavuz Sultan Selim Bridge orYavuz Sultan Selim Köprüsü in Turkish. Description: This is instagram version of the previous video "Yavuz Sultan Selim Bridge". Long scenes can be boring.